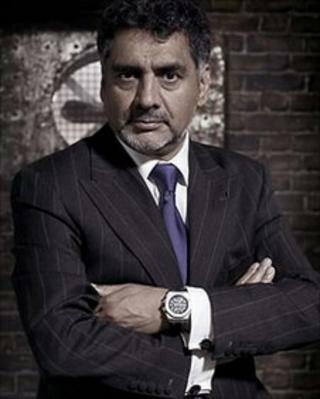 Businessman James Caan is to quit his role on entrepreneurial show Dragons' Den after four series. "After four fantastic seasons, I have made the decision to step down from the panel of the much loved Dragons' Den", the 50-year-old wrote on Twitter. He added that he would devote more time to "existing investments" and "philanthropic work". Pakistan-born Caan became one of the five 'Dragons' on the BBC Two programme in 2007. In a statement, he said: "Dragons' Den has been an integral and exciting part of my professional life and I thank the show profusely for letting me be a part of it for so long. Unfortunately, I'm out!" Caan sits on the panel alongside Peter Jones, Deborah Meaden, Duncan Bannatyne and Theo Paphitis. The businessman was involved in a public spat with Bannatyne over having non-dom tax status, which means he does not pay tax in the UK on earnings made overseas. In October last year, Caan admitted it was "clearly wrong" to offer to buy a baby girl from a family in a flood-hit village in Pakistan, calling it an "emotional response". TV cameras captured the multi-millionaire offering 100,000 rupees (£725) for the baby. Dragons' Den executive editor Dominic Bird said: "James has been a fearsome dragon and although we'll be sorry to see him leave the den, we appreciate he is very busy with his new endeavours." No announcement has yet been made on a replacement for the next series, which is due to air in the summer.